It may not yet rank alongside the Changing of the Guard or the Trooping of the Colour as a ‘must-see’ spectacle for those visiting London, but it out dates both by several hundred years and arguably has a more authentic back story that highlights London’s historic reputation as the global centre of trade and commerce. We’re talking about the ‘Great Sheep Drive of London Bridge’, of course. 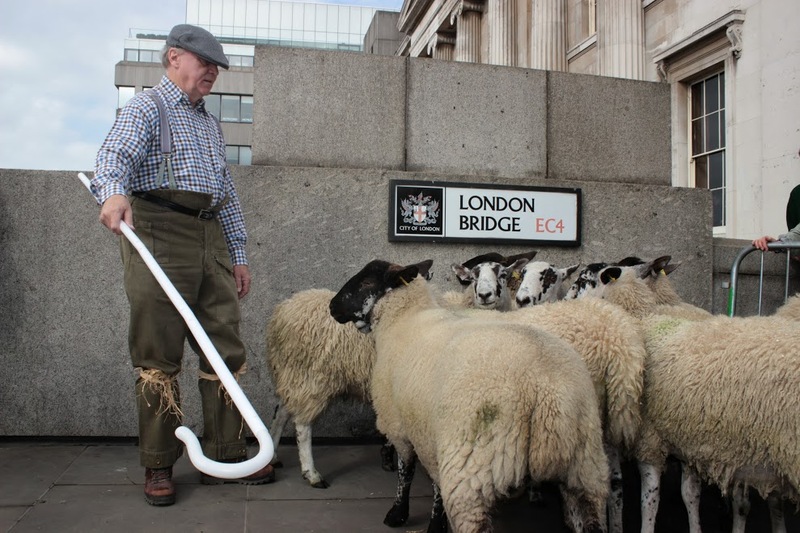 More than 800 Freemen of the City of London, affiliated to one of the 110 City Livery Companies, will join forces next Sunday (27th September) to exercise their long-established right to drive sheep across London’s oldest river crossing. The event not only puts the spotlight on British lamb and wool but also raises tens of thousands of pounds for the Lord Mayor’s Appeal. Bill Clark, past Master of the Worshipful Company of Woolmen, says: “It’s a tradition rooted in more than 800 years of history. London Bridge was, in medieval times, the only crossing of the Thames and the sole route into the City for trading. “As a Freeman of the City of London, one was not only allowed to trade without paying taxes but also granted the right to bring the tools of one’s trade into the City itself. Barbara Windsor, MBE, says: “As an East End girl, I was delighted and honoured when I was awarded the Freedom of London in 2010. Everyone jokes about me exercising my right to drive sheep across London Bridge, but I never thought I would actually achieve it. Boris Johnson, Mayor of London, says: “In a modern city such as ours it is important we also keep in touch with our honourable traditions, especially when they mark the importance of a living, breathing industry. Hosted and organised by the Worshipful Company of Woolmen, which can itself trace its roots back to 1180, this year’s event takes place on Sunday 27 September, beginning at 9.30am. Twenty sheep are provided for the event by a Bedfordshire farmer, with just ten at a time driven across the bridge by successive groups of Freemen. The animals are at all times be under the observation of their usual shepherd and, as in previous years, closely monitored by representatives of the City of London’s Animal Health and Welfare Service, a veterinary surgeon and the RSPCA. The event this year is sponsored by the Mamont Foundation and Xinao Textiles.